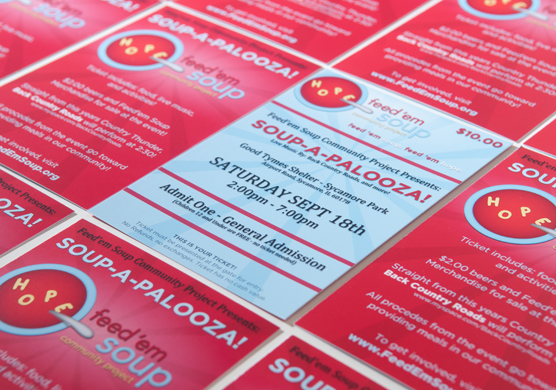 Feed'em Soup Community Project is a not-for-profit in DeKalb County supplying meals twice monthly to people in need. 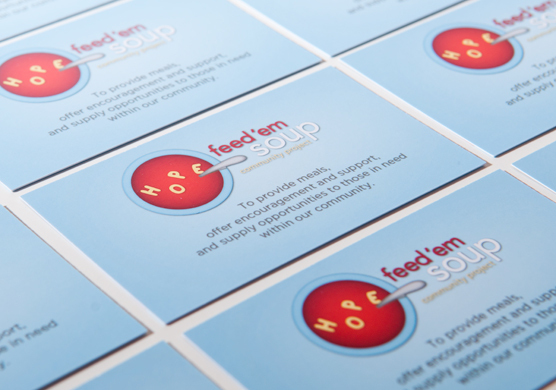 We created the branding for Feed'em Soup Community Project from the ground up. Starting with a fun, catchy logo design we incorporated it into business cards, promotional post cards, flyers, thank you cards and various other print materials. Coupling our branding with social media consulting has been a proven winner for the project. 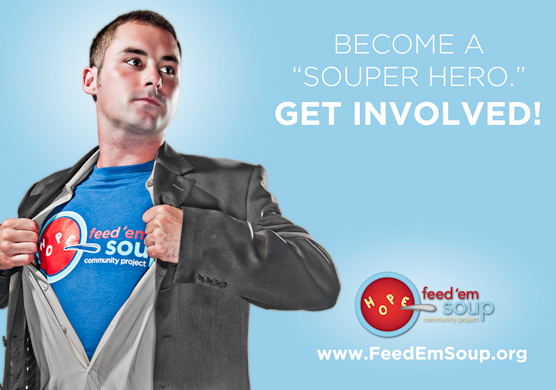 In the summer of 2010 we created the "Be a Souper Hero" campaign which was used to raise awareness for the project.